This is the third and final part of this series on the rethinking within the management of the innovation system. Part three– Technology will drive innovation change. We are in need of a different sustaining capacity, one build around innovation as its continuous core; constantly evolving, adapting, learning and adjusting, in perpetual motion. Digital technology and the cloud are offering us a radically different conduit to achieve a new engagement process within our organizations. Innovation is going to be very much caught up in this transformational change. Technology and data will be innovation’s catalyst for change. 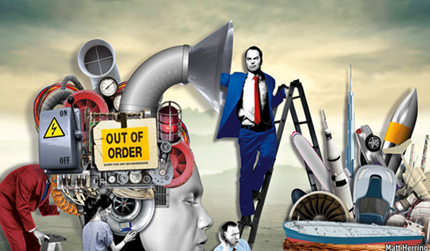 A three-part series on rethinking the management of the innovation system. Part two, recognizing the broken process we currently have. The innovation process and the structures build into our organization certainly need to be changed. I outline here different barriers that require change to bring innovation more into the core of a business. Today, we are needing to build greater agility and responsiveness into our innovation design to counter for a more rapidly changing market, sensing changing conditions and to ‘seize’ breaking opportunities. . A new combination of speed, flexibility, networking and focusing on adapting and fusing the skills and capabilities needed, will require changes in our innovation work. Our current structures and processes for innovation are holding us back and will continue to not deliver the expected results needed today or the future, giving real growth and sustainability. We do need a far more radical approach to a solution for managing innovation inside our organizations. Innovation has sat outside the core of organizations central systems for long enough. 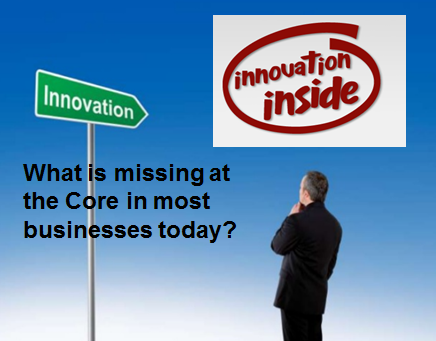 Arguably this lack of being a core central focus holds the deeper understanding of innovation back. A core that could offer up the sustaining value and contribution innovation can make, into the growth and future well-being of organizations and having available the level of resources and commitments it needs. Today innovation seems to be falling short in delivering on its promise. Why? A three part series on rethinking the management of the innovation system. Part one, building the business case of needed change in how we manage innovation. The first thing is you need to have a solid, thoughtful conversation around the type of strategic emphasis you wish to achieve from your innovation activity, how will it support the organizations strategic direction.. These can be aligned to general strategic needs such as growing market share, differentiation and disrupting adjacent markets, serving the consistent changing and demanding customer needs, or by honing the delivery process, by spotting those and then exploiting them rapidly and effectively. All these become alignment conversations. Creating clear goals and linking / aligning innovation to those, gives a more agile top-level strategy dialogue as a vital step before you get into the actual innovation concept – delivery stage. Senior executives must establish the manner in which innovation fits within the strategic context established by goals, vision and strategies. Following a couple of recent posts on reflecting on the three horizons methodology, firstly here and then here, I wanted to come back to where I see real value, in managing innovation into the future. The 3H methodology enables us to look out into the future, across three different horizons that can manage the transition between short, medium and long term in our innovation activities, something often badly lacking in most organizations thinking. It allows us to gauge the challenges, adding aspects we are beginning to gain a sense of, transitioning from one position to another. It allows us to deepen our evaluation of the innovation portfolio of activities, resources and skill sets across different delivery frames of short, medium and longer-term. 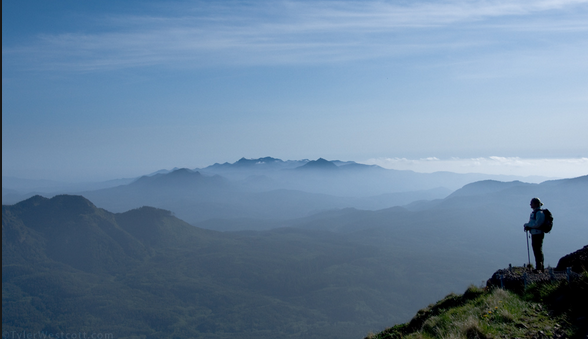 Three Horizons – fields of future, full of foresight. I’d like to relate to parts of a book that came out in late 2013 from Bill Sharpe. His book, or actually more a booklet, called “Three Horizons: The Patterning of Hope”, published by Triarchy Press, has some really helpful insights. 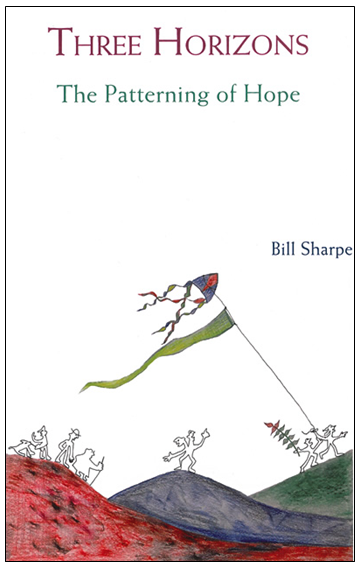 In this book, Bill outlines his distinct ways of creatively working through many of the unknowns, by framing and connecting though the Three Horizons, (3H) as his contribution to the patterning of hope for all our futures. I draw out a lot within his thinking, experiences and approaches within the book. Some of these initial thoughts outlined here, re-affirm my own thinking and focus on the 3H, specifically for innovation and its management. 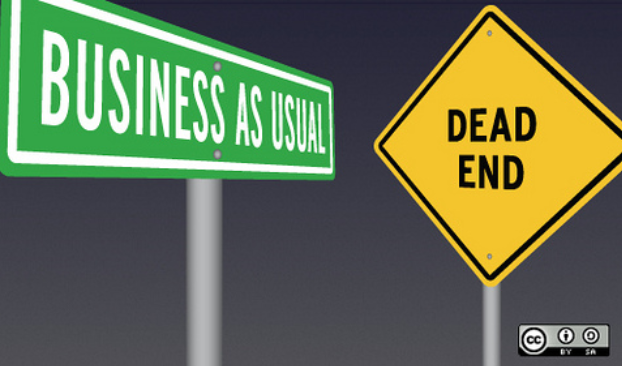 There is that prevailing sense that we are just managing for ‘business as usual’, leaving many increasingly uncomfortable and feeling exposed. Why? Our businesses are not adapting fast enough to changing conditions in the market, often lagging in the competitive race to update and keep relevant. Businesses are struggling with conflicting knowledge flows and incoming intelligence, just simply managing their talent to keep them relevant, engaged and outwardly orientated. They need to constantly adjust and adapt to the demands and challenges within the societal conditions, environments and markets, grappling with constant shifts in consumer demand and coping with the declining natural resources and of what all of this might mean. We are often short on foresight and certainly struggling with growing complexity.